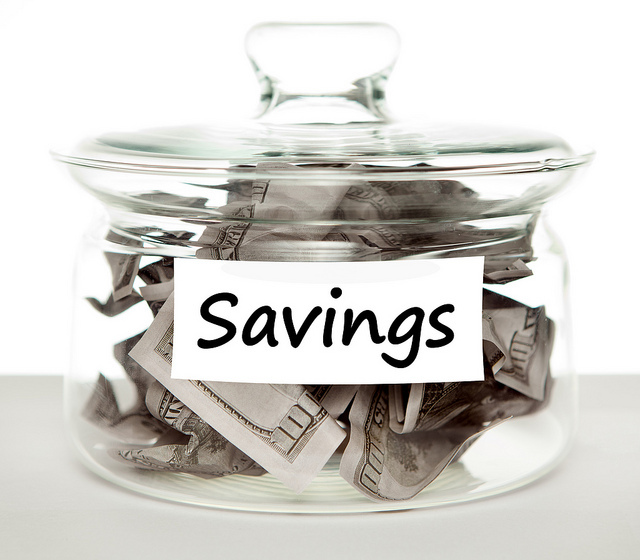 The benefit of saving money at a bank is that it earns interest. This happens because when you place your money in an account, the bank uses it to conduct business, like offering loans to other customers. So the bank gives you some interest for the privilege of using your money. The other obvious benefit of saving money at a bank is that it is safe. It’s safer than under your mattress or safer than in a safe at your home. Your money will always be available if you need it. What you put in you will always be able to get back. The banks physical characteristics and cyber security standards are built to make sure this happens. Why Is My Money Safe in a Bank? You money is also safe in a bank because of the FDIC, the Federal Deposit Insurance Corporation (FDIC) created in 1933. Its purpose was to build trust in the American public towards the banking system. Many banks had failed during the Depression and people were hesitant to place their money in a bank. If the bank failed, they could lose all their funds. So the FDIC offered insurance for funds deposited in the bank. If the bank failed, you didn’t lose your money. Today, the limit on insured funds in any FDIC member bank is $250,000. Credit unions have the same protection limit through another government agency, the National Credit Union Administration. It’s unlikely you would want $250,000 in a savings account anyway. As you will see, having that much in a traditional bank account would not be a good investment for the growth of your money. There are three main options for saving money at a bank. All accounts will keep your money safe but each has some pros and cons. So evaluate your needs before parking your money in any one account. The first is a traditional savings account. This kind of account usually offers you a low rate of interest. It will keep your money liquid, meaning you can access it quickly should you have an emergency. The second time of account is a money market. These usually have slightly higher interest rates. You may have to supply an initial amount of money to open one. You can withdraw money from it using checks or a debit card. However, you are usually limited to so many withdraws per statement period before you are assessed fees. Finally, you could place your savings money in a CD (Certificate of Deposit). CDs hold your money for a set amount of time, a few months to a few years. The longer the term the higher the interest rate. However, you won’t have access to the money for the length of the term. If you need it and have to withdraw it, then you’ll have penalties. So only park money in CDs you will absolutely not need for the length of time you commit to. So, to sum up, savings accounts offer the greatest level of safety for storage of money. Unfortunately, they do not offer great financial returns because of the low interest rate. For that, you would need to seek other types of investments. Now that I’ve answered the question what is a savings account, let’s look at some frequently asked questions people have. Go to or call any local bank and see what they have to offer. They will be more than happy to assist you. Once you are comfortable with a branch and have the initial cash to deposit, go in and meet with a staff member. They will set up your account. How much should I have in a savings account? At the minimum, you should build it to at least $1,000. This will help you cover some basic emergencies that arise. If you do this, you will be better off than most. A 2017 survey showed only 41% of Americans had enough money in savings to cover a $500 – $1,000 unexpected bill. Over time, you should increase your savings to 3-6 months of expenses. Whether it’s 3 months, 6 months or more depends on your financial comfort level and tolerance for risk. Obviously the more you have in savings the more financial cushion and peace of mind you create. Should my child get a savings account? If so, when? The short answer is yes! Get your child a savings account. In doing so, you will teach them the value of savings. When should you do this? Personally, we waited until each of our kids was earning money consistently. For us that started at age 5, when they began doing chores around the home. When each of them had saved $50 dollars (which took about a year), we took them to the bank and opened an account. As a reward, we matched their $50. So each kid started with $100 in their account. The value in taking them to the bank was they saw the whole process. They handed the manager their $50 and received a receipt for their deposit. They even got some special kid material our bank had developed. It all looked very official to them. I know they didn’t understand everything that was going on. However, they left with a big impression – that banks are important and that their money was safe there. And they’ve continued to be great savers of their money since then. What about online savings accounts? It is perfectly legitimate to place your money in a high yield savings account with an online bank. These types of banks offer Annual Percentage Rates around 1%. That rate is much higher than most brick and mortar banks. There are limitations though in regards to access and withdrawing money so be aware of those ahead of time. I’d use an online savings account in two situations: a) I had maxed out my 3 to 6-month emergency fund at my local bank and still wanted to keep saving or b) if I had a large amount of cash I wanted to save over a period of time but still wanted access to it just in case. This would give me a higher interest rate but not lock me into the constraints of a CD. Saving money is one of the foundational steps to building wealth. You have to save something before you can realistically handle emergencies well, pay down debt, build your own business or invest for college or retirement. Does it take discipline? Yes. Does it seem a boring financial move sometimes? Yes. Will saving money at a bank itself make you rich? Probably not. But savers are winners when it comes to money. If you are in the 59% of the American public who doesn’t have enough saved for basic emergencies, I’d challenge you to get started today. A quality financial future is counting on it. Questions for Discussion: When did you open your first savings account? Did you learn about saving from your parents or did you pick it up on your own? Are you a regular saver (budget for it monthly) or a part-time saver (whenever you have the money left over in the budget)? How has saving money change your financial life? What was the last emergency you handled with money from your savings account?